Community Giving Project - March 2019 Bonus! 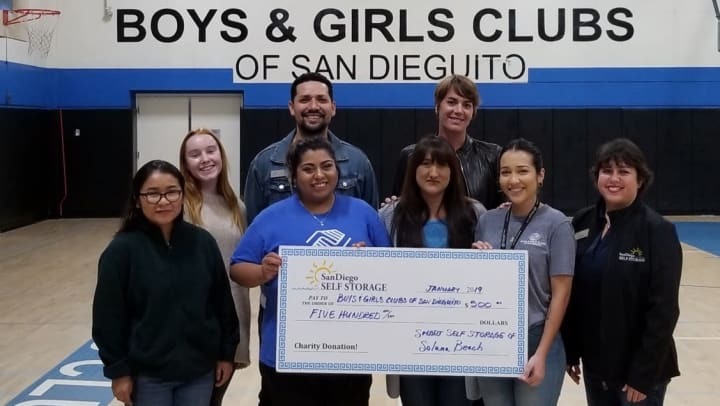 Smart Self Storage of Solana Beach decided to provide their donation this year to the Boys & Girls Clubs of San Dieguito. The team is impressed with the Club’s after school programs for kids. Our Facility Manager, Cory Hurtado, spoke with the CEO, Marineke Vandevort, about the success of the programs and how much it means to them to be able to help so many kids. The Club’s seven branches provide diverse activities in after school programs to meet the interests of all members. Core programs encourage cooperative interactions with peers, adults, and family members, which enables kids to enhance self-esteem and fulfill their potential. To visit or learn more about the Boys & Girls Clubs of San Dieguito visit their website: www.bgcsandieguito.org.